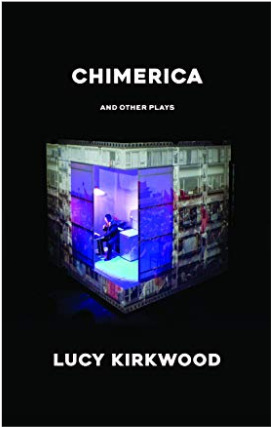 NEW YORK, NY – Theatre Communications Group (TCG) is pleased to announce the publication of Chimerica and Other Plays by Lucy Kirkwood. This collection gathers together five of Kirkwood’s plays, including Chimerica, Tinderbox, it felt empty when the heart went at first but it is alright now, small hours, and NSFW. Lucy Kirkwood has swiftly made a name for herself as one of Britain’s leading young playwrights and is widely considered to be the natural successor to the great Caryl Churchill. Kirkwood’s plays are infused with a sharp wit and a fierce intelligence, taking an unflinching look at the issues affecting our world today. Lucy Kirkwood is a British playwright and screenwriter whose plays include Mosquitoes, The Children, Chimerica (Evening Standard Award, Laurence Olivier Award, Susan Smith Blackburn Prize), small hours, Tinderbox, it felt empty when the heart went at first but it is alright now (John Whiting Award), Psychogeography, Hedda, and NSFW, among others. She won the inaugural Berlin Lee UK Playwrights Award in 2013. TCG books are exclusively distributed to the book trade by Consortium Book Sales and Distribution, an Ingram Brand. Phone orders: 866-400-5351. Individuals may call 212-609-5900 or visit our online bookstore at www.tcg.org. For postage and handling, please add $6.50 for the first book and $1.00 for each additional copy.